A city in Ohio relocated a Nativity scene and a Ten Commandments monument after “a concerned area resident” reached out to a Wisconsin-based atheist group. 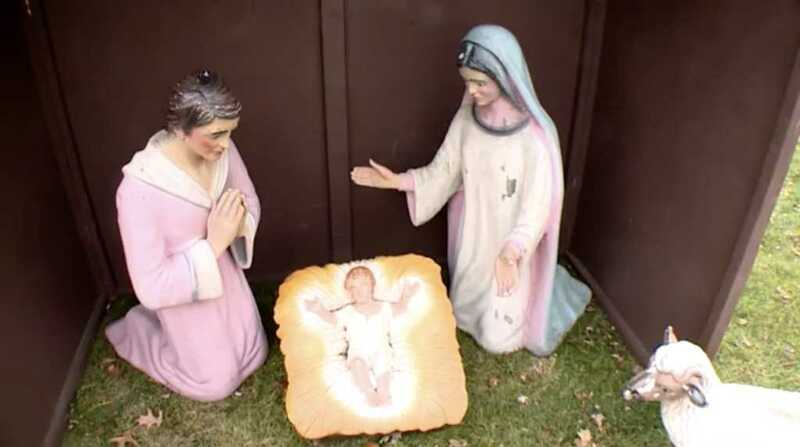 Nearly a year ago, according to The Times-Reporter, a representative for the Freedom From Religion Foundation contacted administrators in the city of Dover, complaining the Nativity scene was on public property, and therefore, a constitutional violation. “We also understand that there is a Ten Commandments monument located near Grace Evangelical Lutheran Church that appears to be on city property,” wrote Christopher Line, a legal fellow for the FFRF, in a letter to Mayor Richard Homrighausen. The FFRF argued the placement of both the Nativity scene and the Ten Commandments monument amounted to unconstitutional endorsements of a specific religion. Facing a lawsuit, Dover administrators decided this week to move both of the religious displays from the downtown square to space owned by Grace Evangelical Lutheran Church. Regardless, Homrighausen said it was “right” to move the monuments to the church’s property. The decision, however, to relocate the religious symbols has been greeted with numerous complains from residents. The mayor reportedly told the city council Monday his office has been fielding “vitriolic” calls. “I am told it has been discussed with comments made towards the administration in an extremely vitriolic nature about the city moving not only the nativity scene but also the Ten Commandments monument and painting over the cross in the choir scene,” Homrighausen said. Douglas O’Meara, law director for Dover, argued the FFRF doesn’t have a strong legal claim, but said a court case to fight the assertions would be way too expensive for the city.